Let’s do the time warp again. Doctuh Mistuh Productions is staging a double feature presentation this summer of Heathers the Musical and The Rocky Horror Show! It’s really groovy. Michael McKelvey the founder of Doctuh Mistuh and also the director of these productions. 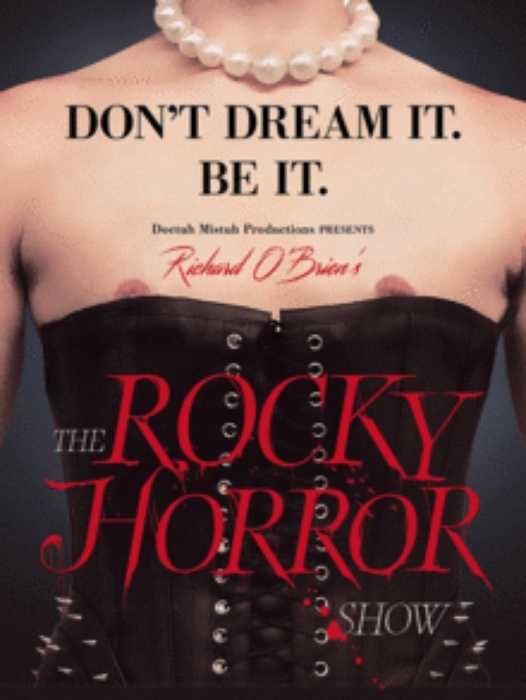 I saw the fantastic production of The Rocky Horror Show, it is a top notch production that is pouring over with talent. The hardest part of producing any play is casting, McKelvey chose a cast that is fitting and shows why he is one of the most praised directors in Austin Theatre! The biggest stand out of this show is Gray Randolph in the role of Dr. Frank-N-Furter, Randolph shows that he is a man who is proud of what he does. He walks with poise and style in those six inch stilettoes better than most women I know. On top of that he acts like he is wearing a three piece suit while prancing around in next to nothing and looking incredible at the same time. Standing next to Randolph is Chase Brewer and Haley Smith as Brad and Janet. The pairing of Brewer and Smith is perfection. They play off of each other with skill and split second timing, one would think they have been doing this together for years. The entire ensemble is thrilling and talented, the three leading the crew are Michelle Alexander, Keaton Jadwin, and Sarah Zerinque as Magenta, Riff Raff, and Columbia. These lead the rest of the ensemble with powerhouse voices, and characters you won’t quickly forget! A large portion of what makes this show work so well is the fantastic costuming by Glenda Barnes. While they play homage to the movie, they are still unique, fresh and dazzling. The scenic design by Joe Carpenter is simple but effective. Allowing the actors to be the focus of the production. The sound design by Joel Mercado-See is some of the best work I have seen or heard rather. Usually when you have a large cast with multiple head mics, a band and sound effects there are usually glitches and noticeable problems. However Mercado-See has done a masterful job of balancing all the sounds into a cohesive work.